Our 2,700 sq. 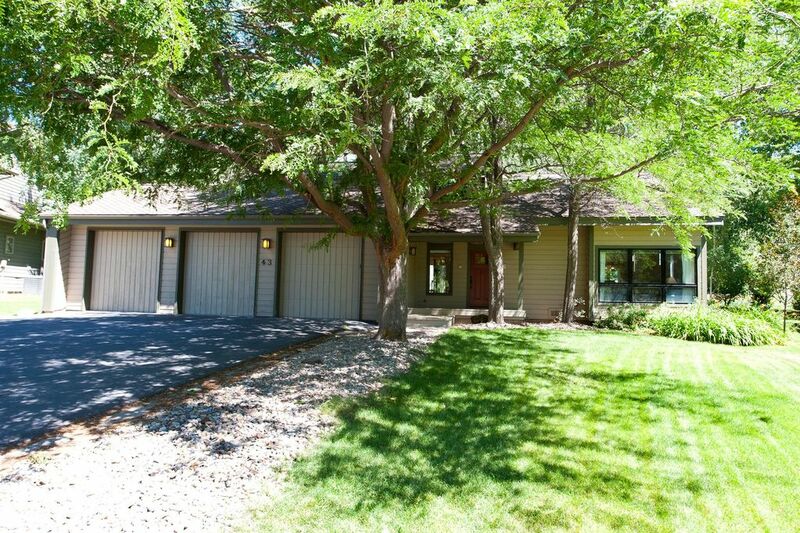 foot, 4 bedroom, 2.5 bathroom residence features open space and mountain views and is located 10 miles (just over 10 minutes) north of downtown and 15 miles (15 minutes) south of Purgatory Ski area. The location offers privacy and seclusion but yet is just a short drive to downtown as well as Purgatory. Dalton Ranch Golf Course and Trimble Hot Springs are less then 3 miles from the residence. The home features a fantastic outdoor living space with a BBQ Grill and views of the Animas River Valley. The Animas Valley is the signature mountain view in Durango with stunning red cliffs framing the meandering Animas River through pastoral meadows and Cottonwoods. There is also a free tennis court and basketball court available for use near the home. The home is located in The Ranch subdivision, which is one of the most sought after residential communities in the valley. It’s famous locally for its lush landscaping and water-scaping. The home was very comfortable, nicely equipped kitchen on a quiet cul d'sac street. Very friendly neighbors and the location was excellent. We loved this home! The house and yard were perfect and let us feel like we had our own little oasis in Durango. Very peaceful! The walking trails behind The Ranch provide a nice close location to walk each morning before we headed out. We were so disappointed that we had to leave early due to the Durango fires and will definitely plan on returning in the future. We also want to say we were very impressed with the yard maintenance person - very friendly and always working hard on the yard. Thank you to Premier Vacation Rentals for getting us into another location after the Mandatory Evacuation. The fires did not diminish our overall stay in either place - we love Durango and visiting the town, location and friends. It was our pleasure to host you, Judy! We are glad you loved the home and were still able to enjoy Durango despite the circumstances. We hope you choose Durango Premier Vacation Rentals for your next stay! House was fine except I had hip surgery in June and all the bedrooms are upstairs. Wife and I had two friends come up and they not only enjoyed the house, but The Ranch subdivision is a little oasis. There is 550 noise, traffic. Thank you so much for the time to write a review of this property. We really appreciate your visit and the opportunity to address the concerns you have. I'm very sorry to hear about your recent hip surgery. Had we known in advance of your need for a bedroom on the ground floor, certainly we might have suggested other properties in our portfolio. We have reviewed the photographs and description of this property to make sure they are adequate to describe where bedrooms and floorplan issues may affect other guests and we thank you for the opportunity to consider these issues. Regarding location, we hope you enjoyed being in the valley with the extraordinary red cliff views and the ideal access to all that Durango has to offer. Accessibility is often a key in mountain communities due to snowfall, so being closer to roadways is often desirable. Thanks again for your comments and your visit. We hope to see you again soon. Great vacation home!!! Very clean, nice location. We came to the Ranch home with two families, totaling 3 children ranging from 9-15 and 4 adults. The house had plenty of room for all, including storage for our clothes and ski gear as well as room for everyone to stretch out, relax, and have both privacy and togetherness. The two living rooms were a big hit, and the large kitchen worked well for all the cooking. Plenty of pots, pans, utensils. We found the beds firm but comfortable, and there were plenty of blankets and pillows. The house got warm during the day, but the manager has provided fans, which is all we really needed. The back AND front yards are terrific for the kids to play, and the neighborhood is a nice place for evening walks. We are already considering coming back. Of note, PJ's market is very close and fantastic, as is the City Market (really just a Kroger) at the North edge of town. They had plenty of organic groceries for those of us who wanted it. I have to also note how easy Keith is to work with. I've rented several homes over the years for vacations. No one has been as responsive as Keith.